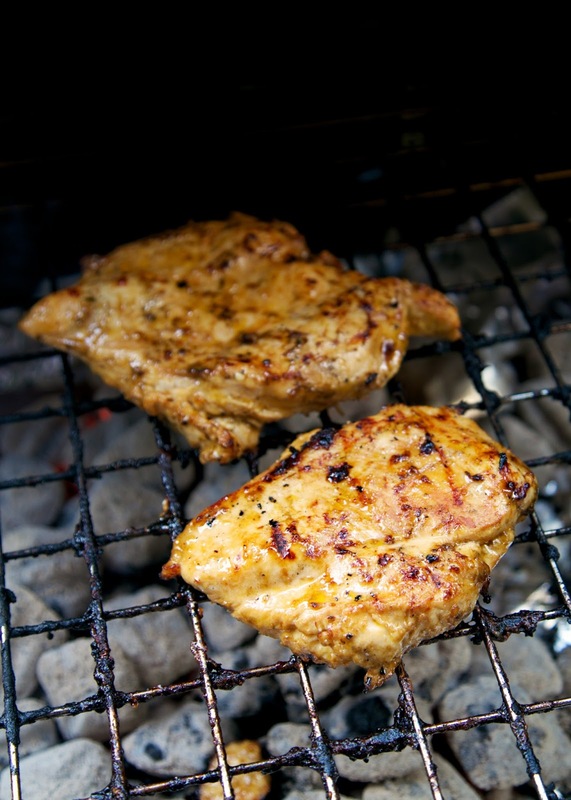 BBQ Ranch Grilled Chicken Recipe - chicken marinated in Ranch dressing, Worcestershire, BBQ seasoning, oil and vinegar - grill for the most amazing chicken! We always double the recipe so we have leftovers for wraps and salads. We made this chicken for lunch last weekend and it is delicious! OMG! So tender and juicy, and it is packed full of great flavors. I let the chicken hang out in the marinade overnight to get the maximum flavor. You can use a store bought BBQ seasoning or my homemade BBQ seasoning is really good in this marinade too! You can get the recipe (here). We loved this chicken. We will definitely be making this again very soon. I will make extra chicken so we can have leftovers. I bet it tastes even better the next day! In a medium bowl, whisk together the olive oil, ranch dressing, Worcestershire sauce, BBQ seasoning, and white vinegar. Pound chicken breast to 1/4" thickness. Place chicken in the gallon size ziplock bag. Pour marinade over chicken. Refrigerate for at least 8 hours (all day). 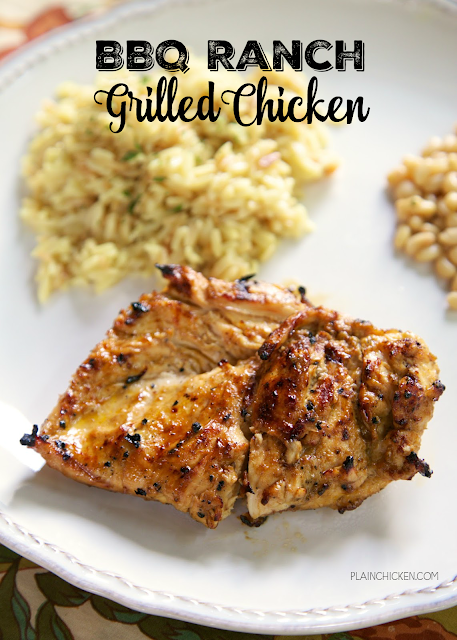 Always looking for different ways to prepare chicken and this looks and sounds fabulous. Pinning! Just whipped up this marinade and put the chicken in the fridge to grill tomorrow. Man, just the marinade by itself is awesome! Thanks for sharing. 90% of my chicken recipes come from you. Thank you! Made this last night for supper. Really good! Hubby took one bite and said, "This recipe is a keeper." We love this recipe a ton! Has anyone ever prepared it any other way besides the grill? You could bake it - I like to pan sear the chicken for 2 or 3 minutes per side and then finish it off in the oven at 425º for about 10 minutes.